By tomorrow, June 27, all Whole Foods stores in the U.S. will offer Amazon Prime pricing and discounts. This is the new loyalty program at Whole Foods launched just two months ago, just two months after the Austin, Texas-based company cancelled its fledgling loyalty program. The move wasn’t surprising, but the speed at which it happened is. Whole Foods initially launched the program in only a few stores, then to 10 more markets a few weeks later. By last week, just a month after it was launched, Whole Foods stores in ¾ of the country had it. CNBC put together this map showing (green dots) Whole Foods stores with the discounts only six days ago. Why, just a week later, has Amazon decided to expedite this process? It’s all about the Prime shopper. Seattle-based Amazon revealed it has more than 100 million Prime members, with about 50% household penetration in the U.S., but many of them are not loyal Whole Foods shoppers. Amazon "could double, theoretically, Whole Foods overall customer base over a 5 to 10 year period just by giving financial incentives to Prime customers," added Mahaney. "That's the synergy that they are now pulling from this deal." Amazon Prime members also typically have more spending power. 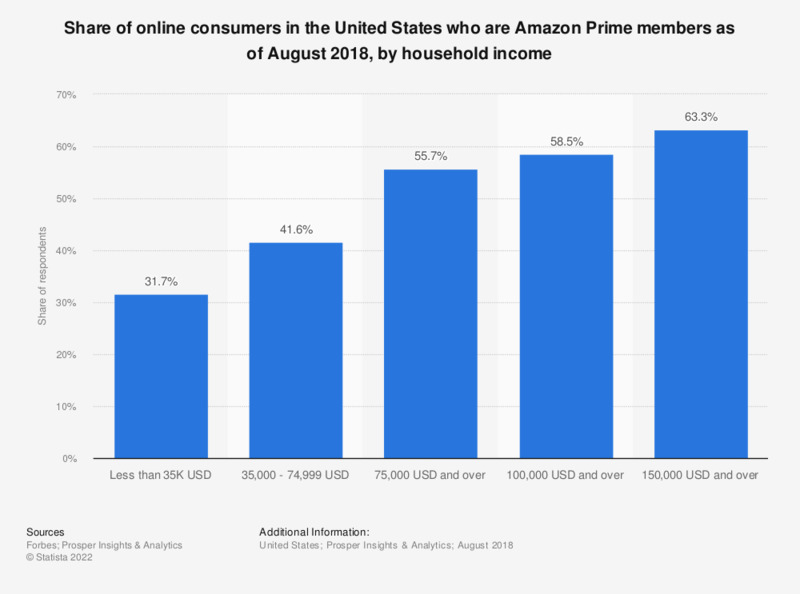 According to these numbers from Statista, at least 50% of online customers who make more than $50,000 a year are Prime members. The number jumps to 70% of online shoppers who make $150,000 or more. I don't typically shop at Whole Foods, but I do take advantage of Amazon Prime nearly every time I shop online, so you can be certain it's made me take a second look at what they have to offer.